The NOTY High Committee is a gang of 12. A Politburo, really. Except that no one gets airbrushed out of the photo for violating party doctrine -- or the Dragonwagon Doctrine (governing legal name changes) or the Sithole Doctrine (governing pronunciation). That's because there is no party doctrine. Instead, the High Committee has gathered amiably and annually since 1989 -- happy anniversary to us! 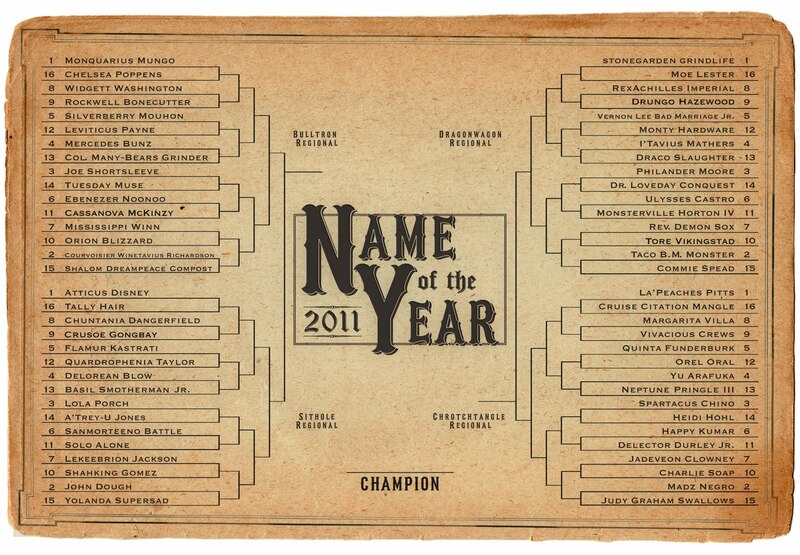 -- with the sole purpose of selecting a Name of the Year. Magnus Pelkowski was the winner two decades ago. Everyone got hammered. There was even property damage. The winner's name was tucked in a folder until next year. 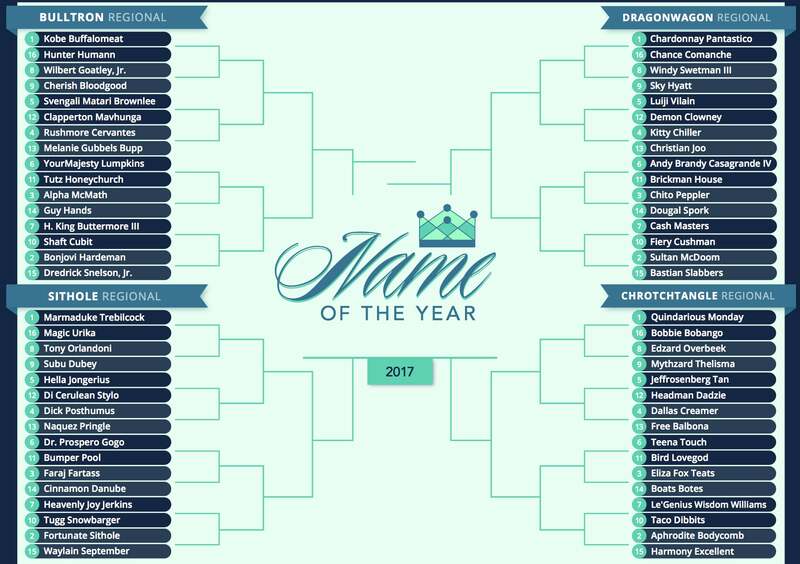 Sure, outsiders often submitted choices or, after the introduction of the 64-name bracket in 1998, their completed ballots, which we usually ignored. 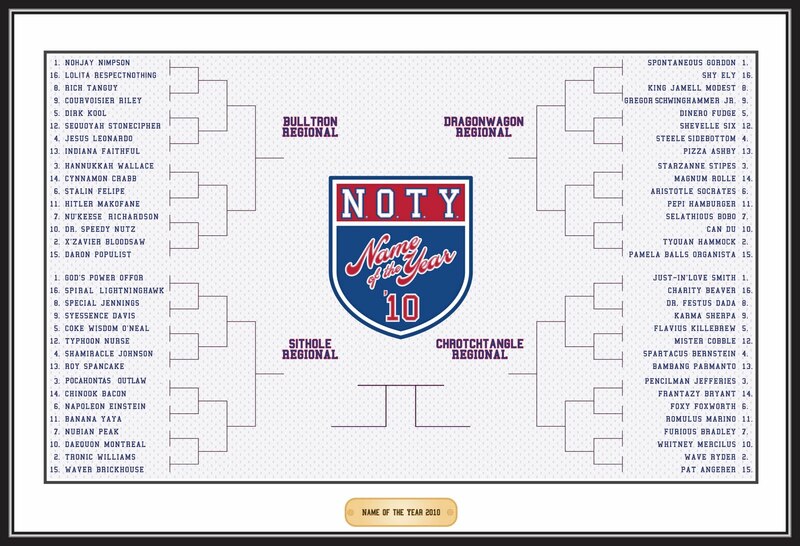 Then, in 2007, NOTY went global (and everything changed). We, the High Committee, still pick. But we have ceded the stage to you, the People. 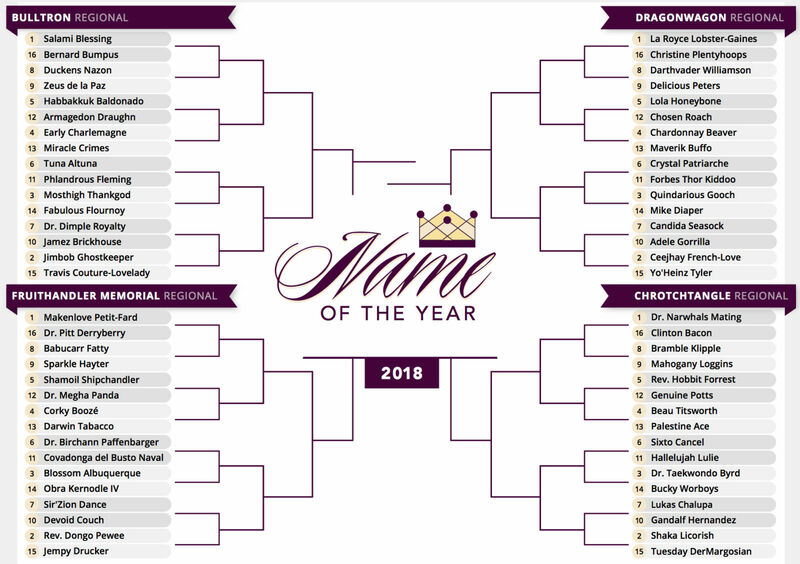 The first year of popular balloting, we all agreed on Vanilla Dong. Last year we parted company. We got it right: Destiny Frankenstein. You got it wrong: Spaceman Africa. This year, you got it right (sayeth this Committee member). We, the Politburo, got it wrong. Believe it or not, Zeppy O'Green and Virginia Woo-Raspberry each tallied one first-place vote. Let the airburshing begin.